TherapyPlus Main Campus provides treatments for orthopedic conditions and specialized clinical care for neurological conditions. We also offer services that you cannot find in every clinic. Nova has proudly been at Madonna for approximately 35 years. She wouldn’t have been here that long if she didn’t love her work. Her journey began as a Speech-Language Pathologist in public schools in Missouri and Florida. When she came to Nebraska and started at Madonna, the traumatic brain injury program was just getting off the ground. That's when she saw a need to connect with the patients’ schools, motivating Nova to earn her Master's in Special Education. When the Therapeutic Learning Center opened, she became the teacher and Education Coordinator in that program. It couldn’t have been a better fit and she loves serving the school-age population. Nova has two daughters and in her spare time, she enjoys her 1 grandchild, soon-to-be three grandchildren. She has two dogs who are great company. She is a mall walker, likes to redo furniture, and sews. She loves to shop and go out to eat. 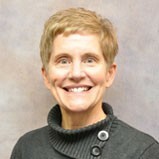 Lisa has been an occupational therapist since 1996 after graduating from Creighton University. She specializes in treatment of traumatic brain injury, visual deficits and driver rehabilitation. Away from work, Lisa enjoys reading, attending sporting events of her children and husband and spending time with her family. 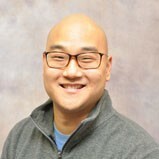 Cory has been an occupational therapist since graduating from Creighton University with honors in 1997 after completing prerequisite work at University of Nebraska-Lincoln. A member of state and national Occupational Therapy organizations, she has experience treating in a variety of settings including inpatient, home health and outpatient. Cory has served at Madonna since 2000, working in various roles including clinic manager and outpatient supervisor. Cory specializes in treating elbow, wrist and hand disorders with focus on complex splinting techniques. She enjoys spending time outdoors with her family, gardening, trying new food, and reading fiction novels. 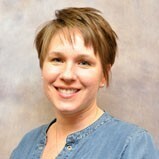 Kelly has been a physical therapist since graduating from the University of Nebraska Medical Center in 2007. She has experience in aquatics, as well as pediatrics, prior to coming to Madonna in 2016. 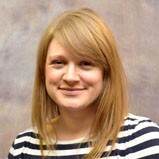 She is on the outpatient neuro team and has interest in brain injury and stroke patients. She loves spending time with her son and daughter and photographing their very active lifestyle at the parks, zoos, and home. Jaime is a speech-language pathologist who specializes primarily in pediatrics, but also enjoys serving clients of all ages with augmentative and alternative communication (AAC) needs. 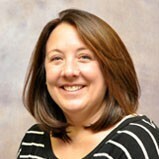 Jaime serves as a member of the Child and Adolescent Mild Traumatic Brain Injury Assessment Team. 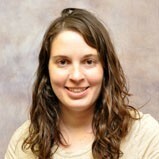 Jaime attained her Master’s of Science in Speech-Language Pathology from the University of Nebraska-Lincoln. In her spare time, she enjoys being a mom and traveling around the Midwest to visit family. 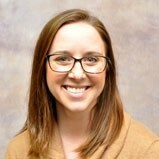 Lizz has been an outpatient speech-language pathologist since 2016 when she graduated from University of Nebraska-Omaha. Her areas of interest and specialty include voice disorders, dysphagia diagnostics, and traumatic brain injury. When she isn’t helping patients to maximize their independence and confidence, Elizabeth likes yoga, painting with Bob Ross, and spending time with her husband and dogs. 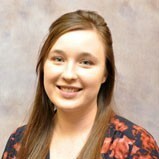 Meagan has been a speech-language pathologist since July 2017 when she graduated from Fort Hays State University. She specializes in pediatric rehabilitation therapy but has experiences with all ages. Meagan enjoys spending time with her friends and family, especially her small dog, Koda. She loves doing anything outdoors. Kari graduated from the University of Nebraska Medical Center with a clinical doctorate in physical therapy. She starting working for Madonna TherapyPlus in June 2008 and has specialized in physical therapy treatment for adults with neurologic impairments. 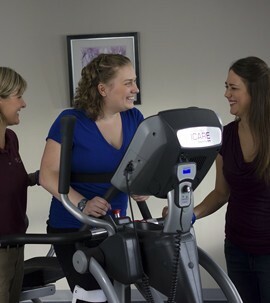 She has a passion for teaching and retraining gait skills particularly with using the various robotic gait devices. She enjoys spending time with her husband and two children, traveling, and spending time outdoors. Michelle is a pediatric physical therapist who specializes in seating and mobility, as well as equipment prescription to facilitate independent mobility in her clients. She also has interest and training in pelvic floor rehabilitation for both pediatrics and adult clients. 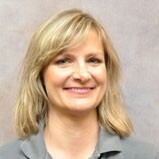 Michelle graduated from Rockhurst University in 1996 with her Master’s in Physical Therapy. Michelle is married with two kids and on her days off enjoys cooking, going to the kids’ sporting events and reading. 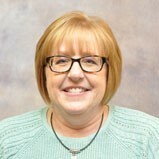 Gail studied Communication Disorders, earning a Bachelor of Arts degree at the University of South Dakota and a Master of Science degree at the University of Wisconsin-Madison. Gail has been at Madonna since 1992 and has worked in a variety of settings including acute care, inpatient rehab, home health and outpatient services. Gail enjoys the variety of patient populations she has the opportunity to evaluate and treat at Madonna. Michelle is a speech-language pathologist who works in the pediatric outpatient area. 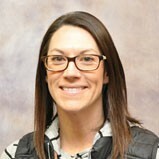 She received her master’s degree in Speech-Language Pathology in 2011 from the University of Kansas during which she completed a rotation at St. Louis Children’s Hospital focusing on augmentative and alternative communication (AAC) in the inpatient and outpatient settings. After receiving her degree, Michelle started working at Madonna.. Michelle specializes in pediatric feeding and swallowing, is trained in VitalStim and has been a clinical supervisor. She enjoys spending time with her family and friends, cooking and being outdoors. Angie has been a physical therapist assistant since obtaining her license in 2015 after graduating from Southeast Community College. She is currently part of our pediatric and aquatic teams, but has additional experience in orthopedics, sports physical therapy, and geriatrics. 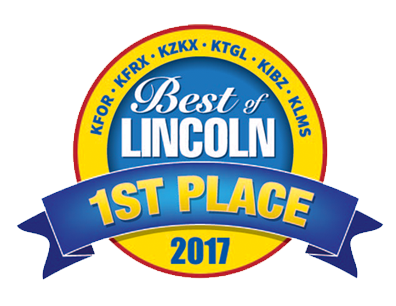 Besides spending time with her family and friends, Angie enjoys live music, Husker volleyball and football, Duke basketball, and golf. Danielle is a speech-language pathologist with certification of clinical competence. 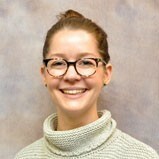 She received her bachelor’s degree in speech-language pathology at the University of Nebraska-Lincoln, and then went on to receive her master’s degree at the University of Nebraska at Omaha. She has worked as a speech-language pathologist at Madonna since January 2016. She currently works in the Rehab Day Program. 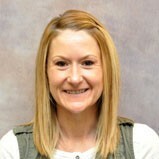 Amber graduated from the University of Nebraska Medical Center with a clinical doctorate in physical therapy. She started working for Madonna Therapy Plus in 2007 and specializes in treating patients with neurological conditions or amputations. Amber enjoys spending time with her husband and boys doing outdoor activities and playing sports. Mollie graduated with her Doctor of Physical Therapy from Duke University in 2015. She has been a physical therapist at Madonna since graduation. She specializes in treating individuals with neurological conditions including stroke, brain injury, and spinal cord injury. Mollie likes to take ballet classes, try out new recipes with her husband, and cuddle her dog. 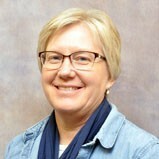 Carol graduated from Kearney State College in 1984 and began working at Madonna. Her clinical interest areas are in stroke and aphasia. 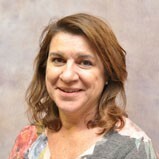 Carol also serves as the Outpatient Speech Therapy Clinical Supervisor. In Carol’s spare time, she enjoys reading historical novels. 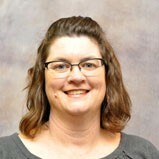 Jen graduated from the University of Nebraska Medical Center with her Master's of Physical Therapy in 1995. She has been at Madonna since graduation and has been treating patients in outpatient since 1997. Her areas of clinical interest include treatment of lymphedema, spinal cord injury and vestibular dysfunction. 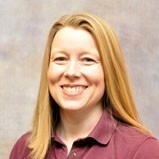 Jen is also an APTA certified clinical instructor and enjoys teaching students. Jen is married and has three children; two boys and a girl. She enjoys being able to be home two days a week to take care of all things having three teenagers brings. 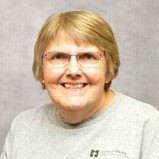 Wendy has been a physical therapist assistant since 1982. She worked at Madonna in the 1980s and returned in 2011. She has experience in inpatient, outpatient, home health, skilled care, and long term care. She has particular clinical interest in amputation and lymphedema. In Wendy’s spare time, she enjoys spending time with her husband, son, daughter-in-law, and grand-dog. She enjoys scrapbooking and quilting. Kristin graduated from Washington University in St. Louis in 1990 and worked in a day program for 12 years before moving back home to Nebraska. Her experience at Madonna started with working on the spinal cord unit, eventually transitioning to the weekend program and home assessment specialist position. Currently, Kristin works with traditional outpatients, as well as patients in our long-term care area. At home, she enjoys working out in the yard and spending time with family. 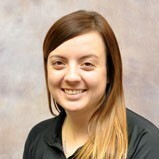 Danielle has one year of clinical experience as an occupational therapist after graduating from College of Saint Mary in Omaha, NE. 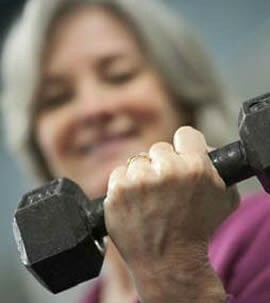 She is a certified LSVT BIG instructor for patients with Parkinson’s Disease. Danielle specializes in working with clients with upper extremity deficits, concussions, and visual-related conditions. While not in the clinic, she enjoys watching her siblings play sports and spending time outdoors with her son and husband. April is an occupational therapist in the outpatient pediatric program. She obtained her Master of Science in Occupational Therapy from the Medical University of South Carolina (MUSC). Prior to that, she graduated from the University of Nebraska-Lincoln with a Bachelor of Science in Psychology. April has specialized training in aquatic therapy, Neuro-Developmental Treatment (NDT), serial casting, splinting, vision, and sensory integration. In her spare time, she enjoys spending time with her family and friends, playing sand volleyball, running, and, completing art projects. 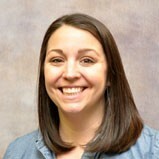 Sara graduated from the University of Nebraska Medical Center in 2008 with a doctorate in Physical Therapy. She began her career in pediatrics followed by orthopedics with focus on spinal pathologies. She started with Madonna in 2012 in adult neuro and has enjoyed taking the lead in post-concussion rehabilitation in the adolescent population. She also has further education and experience with vestibular conditions, stroke, spinal cord, amputees and other neurological conditions. Sara has three wonderful daughters who keep her husband and her busy and blessed. She enjoys traveling and outdoor activities as a family and participating in their church and children’s school activities. In her spare time, she cooks, sews, plays piano or tries to catch a run. 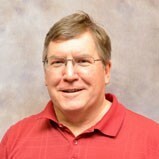 John graduated from the University of Nebraska Medical Center in 1994 with a Master of Physical Therapy degree and began his practice at Madonna Rehabilitation Hospital. He has worked in inpatient and outpatient programs. He later graduated with a Doctor of Physical Therapy degree from Regis University in Denver, Colorado, and subsequently earned a post-graduate degree in Orthopedic Manual Physical Therapy. He is a member of the American Therapy Physical Therapy Association, and is a Fellow of the American Academy of Orthopaedic Manual Physical Therapists, and is a certified clinic instructor. 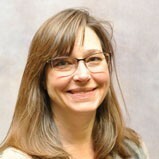 Maggie has been an occupational therapist with Madonna since she graduated with her doctorate in Occupational Therapy from Creighton University. She specializes in treatment of traumatic brain injury, stroke, spinal cord injury, and vision-related conditions. When not at work, Maggie enjoys designing and completing home renovation projects with her husband, as well as reading and spending time outdoors with their malamute. 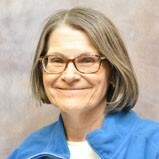 Mary Lu received her Bachelor of Science in Exercise Science from the University of Nebraska at Omaha in 1985 and a Master of Science in physical therapy from University of Indianapolis in 1987. 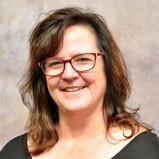 Her work experience includes Staff PT specializing in neurological patients at Bloomington Hospital, Bloomington, Indiana from 1988-1991 which included Neuro-Developmental Treatment (NDT) certification. 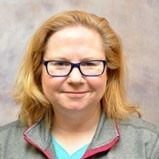 In 1991, Mary Lu began work at Madonna Rehabilitation Hospital where she has worked in the acute rehab traumatic brain injury unit, aquatic program leader, Staff Float PT, Skilled Rehab PT and currently Long Term Care PT on Ventilator Assisted Unit and Extended Care North. Mary Lu and her husband, John Long, PT have 2 teenage sons and are Husker sports fans. 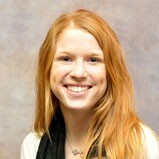 Tara is a physical therapist who specializes in pediatrics. Her primary area of responsibility is in the pediatric Rehabilitation Day Program but also sees traditional pediatric and adult outpatients as well. 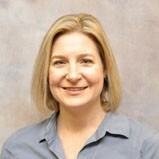 She received her clinical doctorate in Physical Therapy from the University of Nebraska Medical Center in 2008. She has a passion for teaching and retraining motor skills following neurologic injury and is a certified user of the Lokomat and Eksoskeleton robotic gait devices. She has completed Neuro-Developmental Treatment specific training and also has an interest in amputee rehabilitation. She enjoys spending time with her family, traveling, and being outdoors. Gina has been an occupational therapist since 2003 and employed at Madonna since 2008. She specializes in treating neurological conditions and pelvic floor disorders. In her free time, she enjoys playing the piano, reading and trail running. Lana graduated from Colby Community College with an associate degree in Physical Therapy. She has been a physical therapist assistant at Madonna since 1987 in a variety of settings including aquatics, orthopedic and neuro. Lana was born and raised in Kansas and moved to Lincoln right out of college and has been at Madonna ever since. In her free time, she enjoys doing crafts, exploring new wineries/breweries and hanging out with friends and family including her two kids. Kristen graduated from Methodist with her BSN degree. She worked in a cardiac setting for 12 years, including four years in intensive care unit, prior to coming to Madonna. 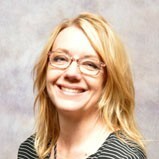 She has been at Madonna for since 2008 with primary responsibilities in the Rehab Day Program. She loves all of the different areas of rehab and enjoys seeing people succeed and improve. She loves celebrating the successes patients have while they are with us. Kristen's hobbies include reading, watching different sporting events and carting her kids to their activities. Jeff has been a physical therapist assistant (PTA) since 2015 after graduating from the PTA program at Southeast Community College. Jeff has experience in treating patients with neurological conditions but also has worked with orthopedic and geriatric patients. When he’s not working, Jeff enjoys spending time with his wife and daughter and their dog. Jeff enjoys Nebraska football and playing basketball. Mark graduated from A.T. Still University-Arizona School of Health Sciences in 2002. He has been employed at Madonna since 2006. His primary area of interest is general orthopedics including back/hip/knee/ankle, post-surgical, and total joint replacement. 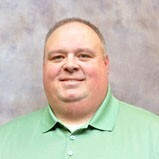 In his spare time, Mark enjoys Husker athletics, working security for Pinnacle Bank Arena events, and travel. 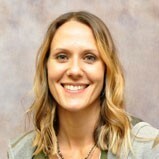 Daina graduated from Loma Linda University in Southern California in 2003 with her Master’s in Physical Therapy. She started at Madonna later that same year. Daina specializes in neuro diagnoses with specialized training and vast experience treating concussion/mild traumatic brain injury and Parkinson's disease. Daina has additional degrees in French, international studies and communications, which make her a fascinating conversationalist. 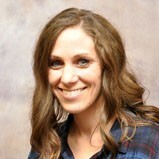 Erin has worked at Madonna since graduating from Creighton University with her clinical doctorate (OTD) in 2007. 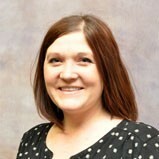 She has special interests in pediatrics, feeding and swallowing, and mentoring staff. She keeps busy with her two human boys and one imitation wiener dog. Erin and her husband are tragic Saints and Cubs fans and often travel to see them. Marin graduated from Des Moines University in 1999. 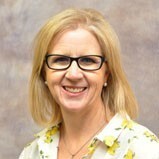 Her expertise includes using manual therapy skills, such as Myofascial Release, Cranial Sacral therapy, and Muscle Energy Techniques to decrease pain and improve postural control with her patients. She works with patients following strokes, brain injuries (mild and severe), and spinal cord injuries; those needing generalized strengthening and balance retraining; face, neck, trunk, leg and arm edema; and those diagnosed with neurological diseases such as multiple sclerosis and Parkinson’s Disease. When not at work, she enjoys cheering on her son in his baseball and football games and finding new home improvement projects for her husband to do. 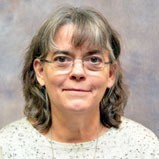 Virginia graduated with her occupational therapy assistant degree in 1988, and has been at Madonna since 1997. Virginia has a variety of clinical experience, including 10 years on inpatient acute and long-term acute care hospital (LTACH), and is currently working in outpatient with stroke and traumatic brain injury (TBI) patients. Outside of work, Virginia enjoys spending time with her husband and two collegeage kids, as well as friends. 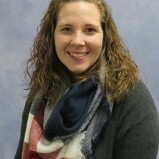 Sarah is a licensed physical therapist assistant (PTA) with a degree in biology. 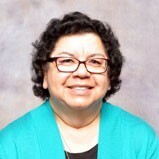 She has been a PTA since 1980 and employed at Madonna since 1985. 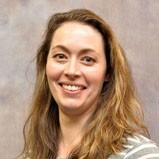 Sarah has a wide variety of clinical experiences, with an area of expertise is in aquatic physical therapy. In Sarah’s free time, she enjoys spending time with her husband, children, grandchildren and dogs, as well as working in her garden. 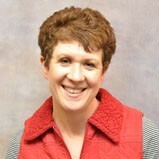 Sally is a part-time teacher in the Therapeutic Learning Center on the Lincoln Campus. She works with inpatient and outpatient school-aged patients on school work or other assignments and finds her position very rewarding. 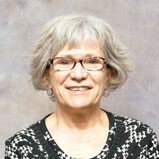 Prior to coming to Madonna in 2014, she was a resource teacher for Lincoln Public Schools for 32 years. Sally learned about rehabilitation at Madonna first-hand after bilateral knee replacement surgery in 2013. Because of her successful recovery she is able to walk her two small dogs, Abigail and Woodrow. Her hobbies include arts and crafts, including painting with watercolors. She has been married for 24 years to a big Husker fan. Julie has been a physical therapist since 1999 when she earned her master’s degree in Physical Therapy (MPT) from the University of Indianapolis. 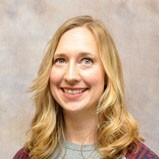 She has worked primarily with the orthopedic population, specializing in multi-system trauma and amputee patients. Julie’s primary focus since becoming Clinic Manager in 2013 is overseeing all clinic operations at the Main Campus. She enjoys spending free time with her family and watching Husker sports. Michelle has been an occupational therapist since 2002, after graduating with her clinical doctorate degree (OTD) from Creighton University. Michelle stared at Madonna in 2007. While she can primarily be found in the outpatient pediatric area, Michelle also has a wealth of experience related to equipment needs for persons of all ages. Thus, you will also see her completing wheelchair seating and mobility evaluations, home evaluations, special needs car seat evaluations, equipment evaluations, as well as anything assistive technology related. Michelle has two children and enjoys traveling with them and her husband to cheer on the Huskers and Chicago Cubs. Each location is equipped with state-of-the-art technology and specialized equipment for a range of comprehensive services. Continue your exercise and use pools, weight equipment and aerobic equipment at ProActive in Lincoln. The Rehabilitation Day Program (RDP) is designed to help adults and children with a physical or cognitive disability learn to function more independently in their home and community.